Male candidate required with no age restriction. · Prior knowledge of real estate market is preferred. · Proactive approach of moving in the market and keeping track of Market transaction. · Preparing and presenting the property data for transaction managers. · Maintaining relationship with builders, developers, HNI's and landlords. 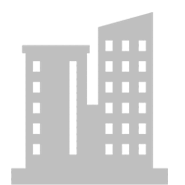 · Maintaining and updating the property database on regular basis. · Excellent knowledge of MS- Excel & Powerpoint. · Self motivated and problem solving skills. We are a commercial space & Industrial space facilitator primarily operating from Pune. We are also part of a national network called CIRIL Network which is a consortium of 7 broking firms in the country, where every firm is backed with an experience of 15-20 years or even more, in their respective markets. We have fully functional 15 offices across the country in major metros like Bangalore, Hyderabad, Ahmedabad, Kolkata, Delhi, Gurgaon & Mumbai and we are capable to serve 270 cities across India through these offices. Property Terminus recruiting Data Manager candidates nearby Pune.Property Terminus vacancies for Data Manager is recruited through Written-test, Face to Face Interview etc. Property Terminus Company recruits a lot of candidates every year based on the skills . The candidates with Any Graduate, Any Post Graduate are selected to full fill the vacancies in Others job field. The candidates nearby Pune can apply for Data Manager position in Property Terminus. All candidates should have a degree or post-graduation in the required field based on the requirement mentioned. The jobs are available in Full Time basis. When it comes to the Property Terminus recruitment, candidates are mostly chosen for the department of Others . To learn more about the current jobs and other details, it is better to go through official site of Property Terminus and Freshersworld. Find the latest jobs near you and near your home. So, that you don’t need to relocate. The Freshersworld is a leading employment portal that researches the official site of Property Terminus and provides all the details about the current vacancies, the application process, selection process, interview test details, important dates and other information. Search and apply for the top job positions in Property Terminus and near your city and get a secured career.